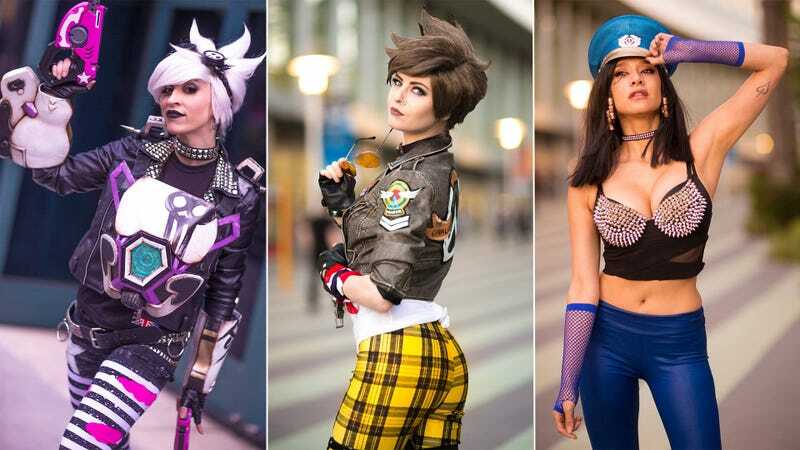 Like they did with underwear, and then formal evening wear, Overwatch cosplayers have once again taken their favourite characters and put a little spin on their outfits. This time, the theme is punk. These costumes were all on show at this year’s BlizzCon, with most of the shots below taken by Mineralblu.